Protein shakes are one of the simplest, healthiest, tastiest and most effective ways to get all the proper nutrients you need on a daily basis. Now, I am not talking about creating one of those high-sugar calorie bombs that you might find at a local smoothie store or at the gym café. Rather, you need the right base of ingredients that serve your body well and taste great without destroying your diet. While there are countless combinations of ingredients that you can explore, I thought I would save you some time by sharing with you three of my favorite smoothie recipes. Included in this article are the following: (1) a protein-loaded meal replacement shake, (2) a post workout recovery shake and (3) a nutrient-packed green shake. All you need for these is a few ingredients, and a good quality blender or bullet. This is a great option for breakfast or anytime you need a quick meal. 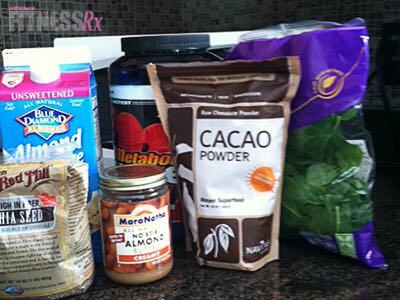 For this shake, I like a base of chocolate protein powder, as the flavor complements the other ingredients well. This shake is similar to the protein shake above, but it contains more carbohydrates than fat. Post-workout carbohydrates and protein are essential for muscle recovery. While the above shakes have a greens element with the baby spinach, this shake is more focused on getting a substantial shot of nutrients and vitamins from greens. This is a great breakfast option or late afternoon snack to give you a boost of energy. Blend these three ingredients together first. Start integrating these smoothie recipes into your daily routine. Blend one up and take it with you to sip on the way to or from the gym…or wherever else your life takes you.